Target URLs can now be specified directly with the mkr plugin installer etc. It’s December! And around this time every year, what the IT/Web industry refers to as "Advent Calendars" bustles with various themed blog posts, and Mackerel is no exception. Here is Mackerel’s Advent Calendar! But wait, here’s another calendar! Be sure to check out this calendar as well. Fellow team CRE Sone ( id:Soudai) is going all out! We recently made an announcement regarding the recently released command line tool mkr plugin installer feature, including usage details/application methods. With this week’s feature update, you can now directly specify a URL as shown below. Be sure to try out this plugin installer feature which allows you to easily install useful third-party plugins. 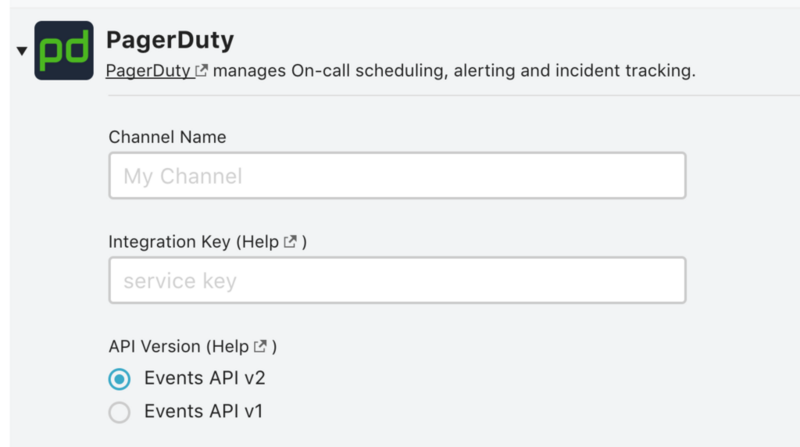 In the integration settings for PagerDuty, one of the notification channels available with Mackerel, you can now select the V2 API. Although there is no functional difference at this time, it is possible that options only available with V2 will be added in future feature expansion. If this applies to you, please consider making the transition. Updates for various OSS have been released and are listed below. To all of you out there who contributed or reported a problem, thank you very much! The output message that occurs when there is a defect in the mackerel-agent.conf plugin command configuration has been improved. The issue of the interface value not being obtained when the network counter is 8 digits or more has been fixed. [jvm] The issue of the option to monitor the remote jvm not functioning properly was fixed. [kinesis-streams] Regarding metrics for the number of records and processing bytes, outputting the "statistics of one record" was changed to "total amount per minute". Earlier this year in April, the first Mackerel × Twilio Hands-On Seminar was held and went down as a huge success. Now, the second edition of the seminar is in motion and scheduled to be held on Wednesday, December 13th. For the venue of the event, we’ll be renting out the space of RecoChoku, a company which extensively uses the Mackerel - Twilio Integration. This will be a valuable opportunity to learn more about a variety of things ranging from the basics of why server monitoring is important to installing the agent and receiving phone notifications through Twilio. The event is almost at capacity, but because applications as chosen through a lottery system, there’s still a good chance that you’ll be accepted even if you apply now. You definitely don’t want to miss out on this opportunity!